From The April 1936 edition of “The Labour Monthly” (a magazine associated with The Communist Party of Great Britain) an article reflecting on the 20th Anniversary of the Easter Rising. The article “Easter Week 1916” was written by Pat Devine (Info on him here). As it is a good few pages long I’ve scanned and uploaded it in pdf. Click Here for “Easter Week 1916” or on the image to launch it in pdf. Was sent this and thought it was good. 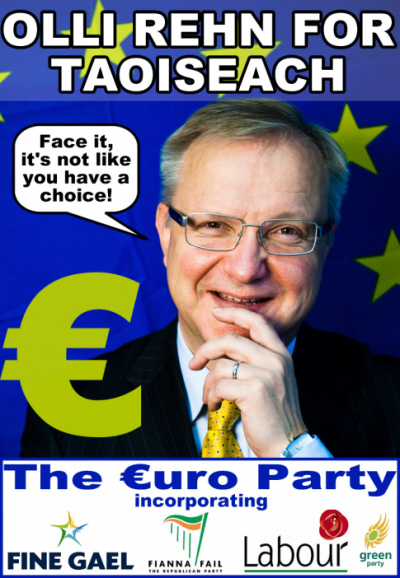 In a way summed up the lack of choices we are facing…. 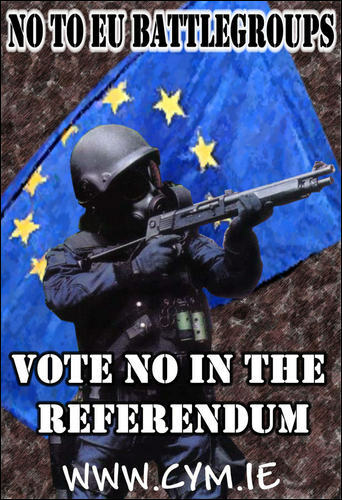 From the First Lisbon Referendum a Sticker from the Connolly Youth Movement. 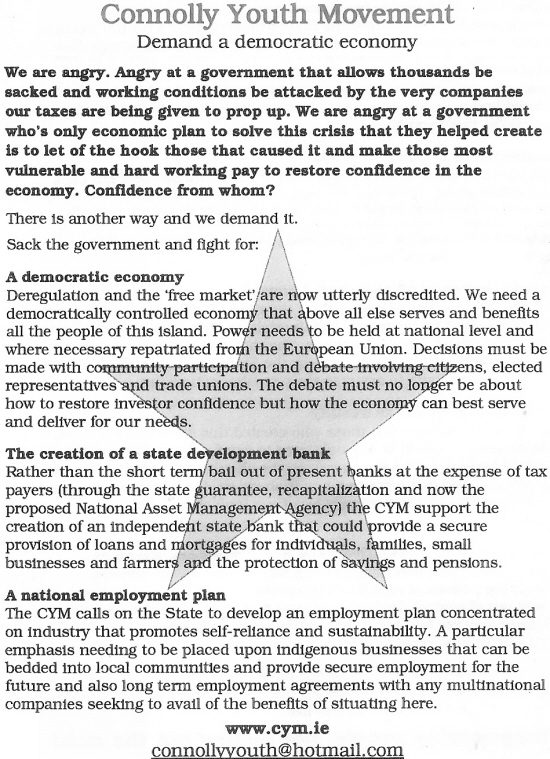 A 2009 leaflet “Demand a democratic economy” from the Connolly Youth Movement.